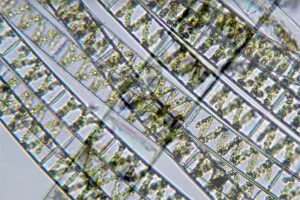 https://youtu.be/4gOGFuxevnk Here are some nice images of the alga Spirogyra. 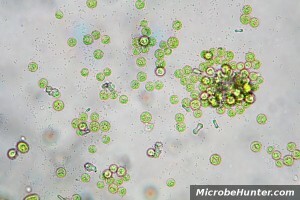 These algae have a spiral-shaped chloroplast. 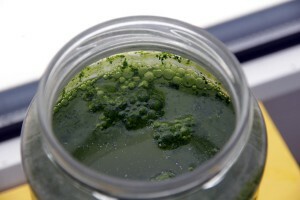 The video also shows other algae in colonies. 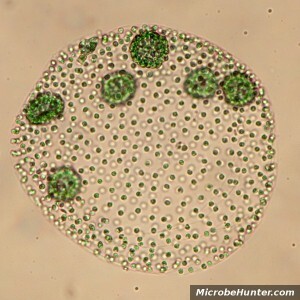 Volvox is a fresh water green algae and a member of the Chlorophyta. 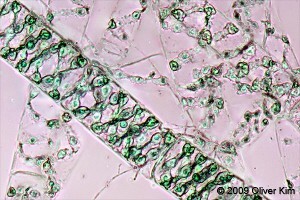 Microscopic picture of the algae Spirogyra. The algae possesses a spiral shaped chloroplast, which is clearly visible in the cell.